“Do this again. Old Fashioned, please.” So says Don Draper to a bartender in the opening scene of Smoke Gets in Your Eyes, the pilot episode of Mad Men, which aired on July 19, 2007. The Old Fashioned is just one of many, many cocktails and spirits consumed by the characters of the acclaimed drama, which airs its final episode on Sunday, May 17. 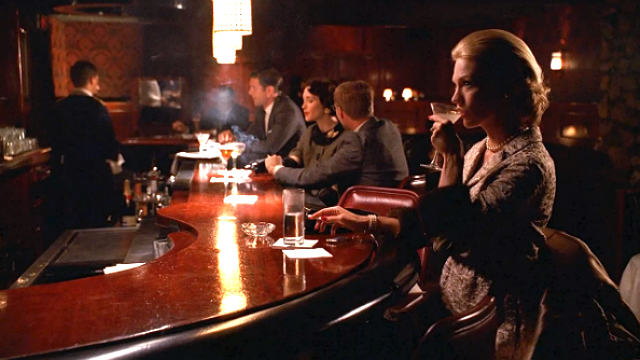 Whether it’s Draper’s rye Old Fashioned, Roger Sterling’s Gibson or Peggy Olson’s Stinger, the show’s ubiquitous cocktails have played as important a role in re-creating the Mad Men era of the 1960s (and now 1970) as the sets, costumes, hairstyles and music. 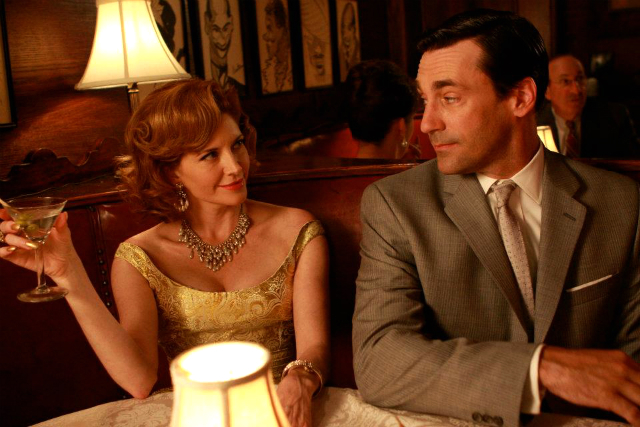 Although Mad Men mostly takes place in the high-powered advertising world of Manhattan, the series’ main sets are located in Los Angeles and many of the on-location scenes were filmed in L.A., including Cole’s and Casey’s Irish Pub in Downtown and Musso & Frank Grill in Hollywood. Another L.A. location is Three Clubs, a classic Hollywood cocktail lounge that’s appeared in Mad Men multiple times, including a key scene from the Season 2 finale, Meditations in an Emergency, when Betty Draper engages in a tryst with a stranger in the back office of a bar. With its deep leather booths, velvet wallpaper and dim lighting, Three Clubs has also appeared in Swingers, L.A. Confidential and Parks and Recreation. Helmed by Michael Neff with a stellar bartender team that includes Cari Hah and Joe Brooke, Three Clubs has recently emerged as a go-to spot on the thriving L.A. cocktail scene. 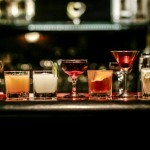 Sponsored by the Museum of the American Cocktail, the free Tuesday Tastings Series is especially popular, featuring guided tastings and spirited discussions. Three Clubs and Pinup Girl Clothing are teaming up to host a viewing party of the Mad Men series finale on May 17. The event is timed to coincide with the East Coast broadcast of Mad Men, which will air at 7pm Pacific. Tickets to the viewing party are priced at $25 pre-sale and $30 at the door. 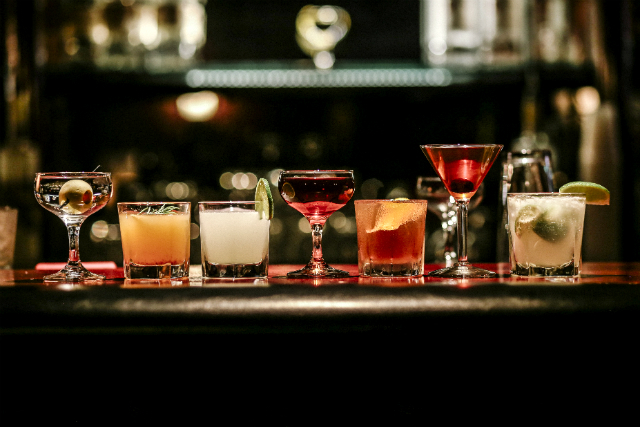 Admission includes two drinks from the Mad Men-inspired cocktail list. The event also features a costume contest, photo booth, two performances by Bobbi DeCarlo and The Starlites, and DJ Lina Lecaro. Door prizes include a $125 gift certificate to Pinup Girl Clothing. Fellow “Maddicts,” let’s raise a glass and toast one of the greatest series in TV history. Cheers! Header image courtesy of Three Clubs.